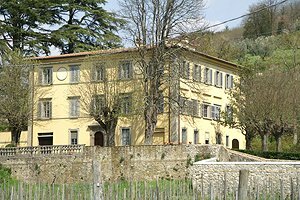 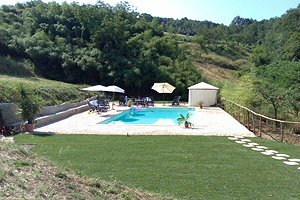 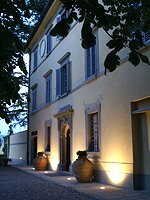 The elegant country villa (12/19 sleeping accommodations) stands in panoramic position in Serravalle Pistoiese, just a few kilometres from Pistoia, in Valdinievole. 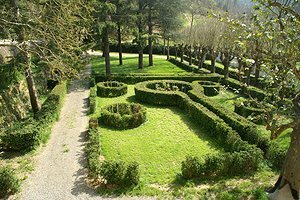 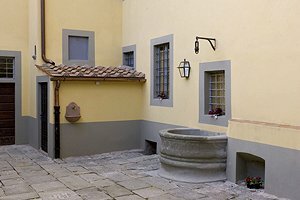 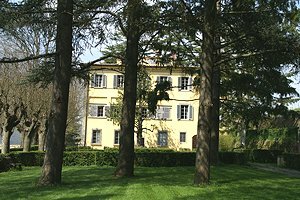 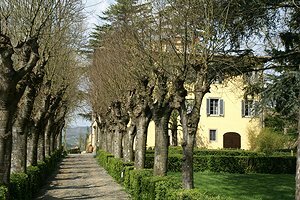 The estate is surrounded by numerous paths for wonderful excursions on foot or by bike at the discovery of Pistoia countryside. 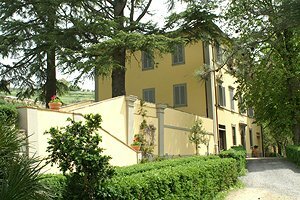 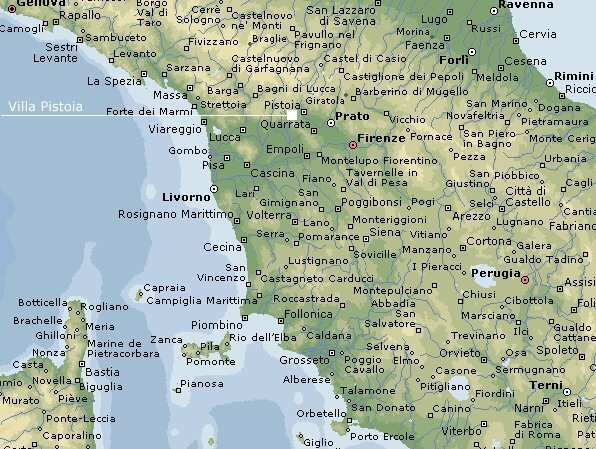 Montecatini and Monsummano thermal baths and important Tuscan cities of art, such as Florence and Lucca, are easily reached with short drives. 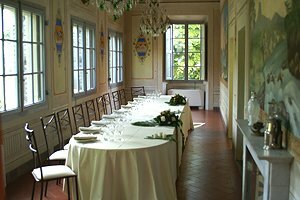 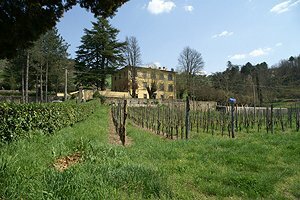 The ancient building is surrounded by an Italian garden in which lies the private swimming pool (6x12 m) and 20 hectares of land covered with olive groves and vineyards. 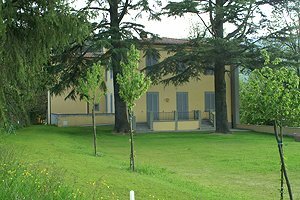 The estate is fully fenced. 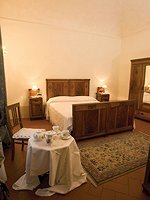 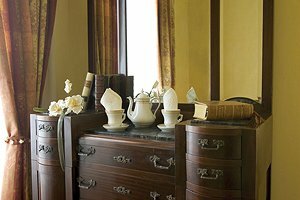 The three-storey villa featuring traditional terracotta-tiled floors is provided with all comforts (Internet connection, satellite TV, CD player,gas oven, dishwasher, washing machine, iron, hair dryer, cot bed and car park) and is furnished in period style and with antique pieces. 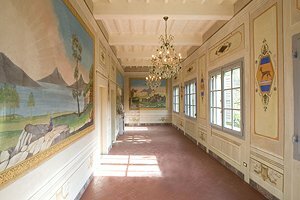 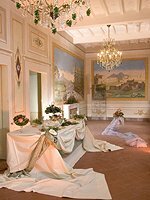 On the first floor, the "Sala della Caccia" (Hunting Hall) is decorated with wonderful frescoes. 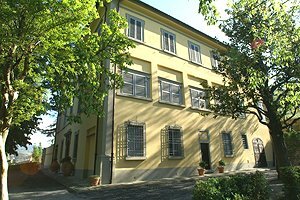 The villa (6 double bedrooms + 3 double sofa beds, 1 single sofa bed, 6 bathrooms + 2 service bathrooms) covers a surface of 900 m², divided into three floors. 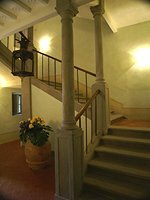 On the ground floor are the entrance hall; a large dining salon sitting up to 30 people; the large fully equipped kitchen; a rustic dining room; a living room; 1 double bedroom with ensuite bathroom and a half bathroom. 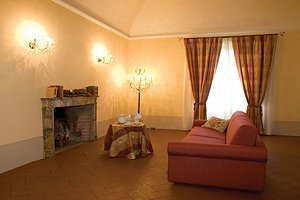 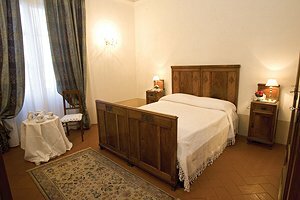 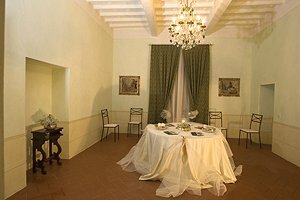 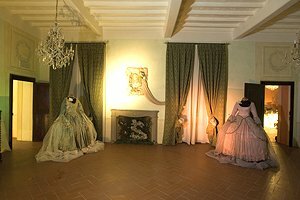 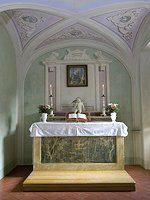 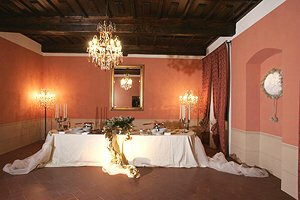 The first floor composes of the "Sala della Caccia", furnished with tables and chairs; five reading and living rooms of various sizes and 1 half bathroom. 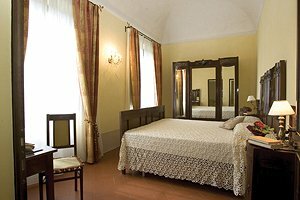 One of the small living rooms can be transformed into a double bedroom, where can be added a supplementary double sofa bed. 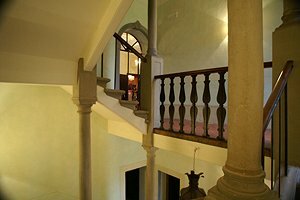 The first floor has a direct access to the garden. 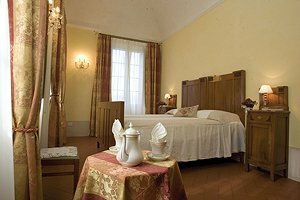 On the second floor are the "Salone della Musica" (Music Hall); 2 double bedrooms with ensuite bathroom; 1 twin bedroom with ensuite bathroom; one suite composed of 1 double bedroom, living room with double sofa bed and a bathroom; a second suite consisting in 1 double bedroom, living room with single sofa bed and a bathroom.